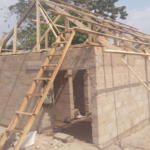 The follow the money team during its data mining process, discovered that Cross River State Universal Basic Education Board has tendered to upgrade the Holy Cross Primary School at Ugep by constructing a one-storey block of 6 classrooms. 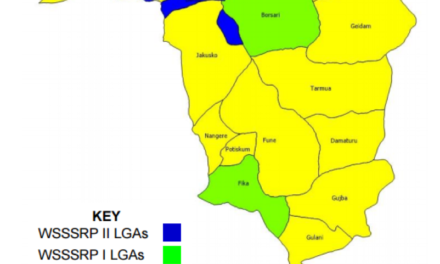 To provide oversight and foster information sharing between the implementing agency and the beneficiary community on the implementation of this project, FTM team is initiating #UpgradeUgep campaign. We call on all stakeholders especially the CRSPHCDA to provide necessary information that will aid the successful monitoring and implementation of this project. 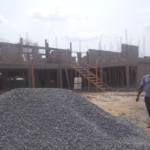 13 March 2018: The team visited the construction site to inspect the level of work done. Project implementation was found at 90%. 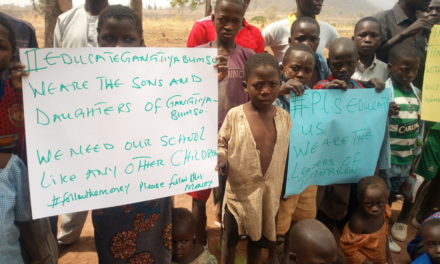 13 March 2018: The Head Teacher, Holy Cross Primary School, Ugep, was represented by the Secretary of the school. 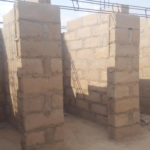 In her statement, she confirmed her awareness of the project and its specifications, stating that the project has been duly carried out based on its specifications. 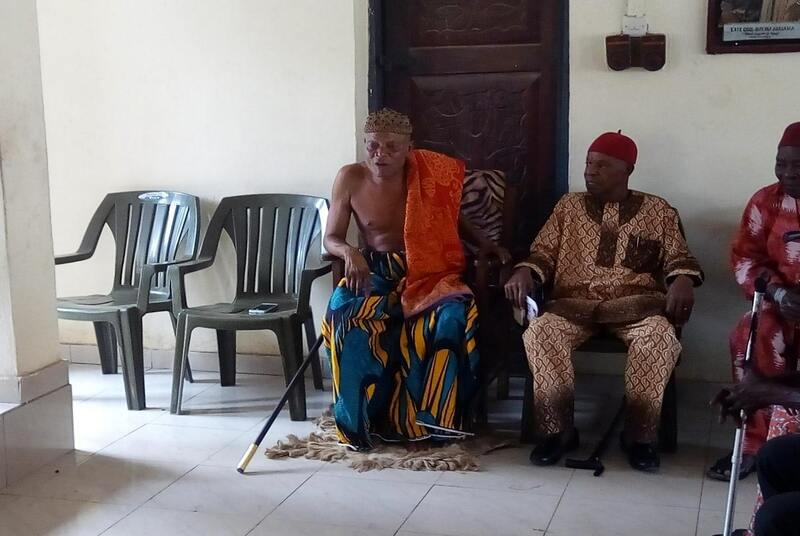 13 March 2018: The Clan Head of Ntamkpo, HRH Chief Obono Ujong, in his words “The key issue here is the specification of the project. 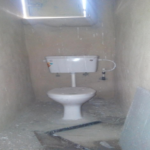 How are we sure that the project was carried out based on its specification. If the community is carried along with such project, there will be transparency”. 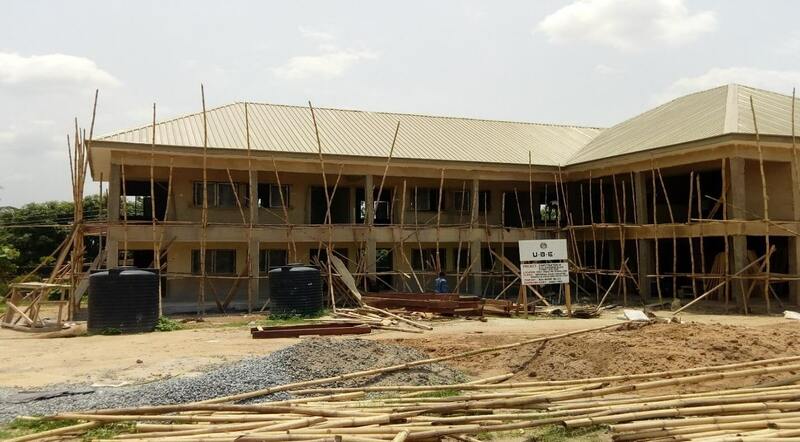 He further reiterated his involvement in the just completed construction work carried out at ST. Patrick Technical College, Ugep and how the Federal Government wrote to him to supervise and monitor the project, stating that his involvement aided the smooth completion of the project. 13 March 2018: The Clan Head Ikpakapit Community, HRH Chief Cletus Etimita expressed his frustrations for not been informed about the project which is being carried out directly opposite his house. 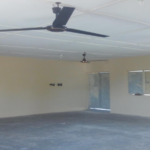 In his words, he describes the contractor as a “masquerade” stating that he (Clan Head) sent the Village Head to inform the contractor of a meeting with him, but all to no avail. 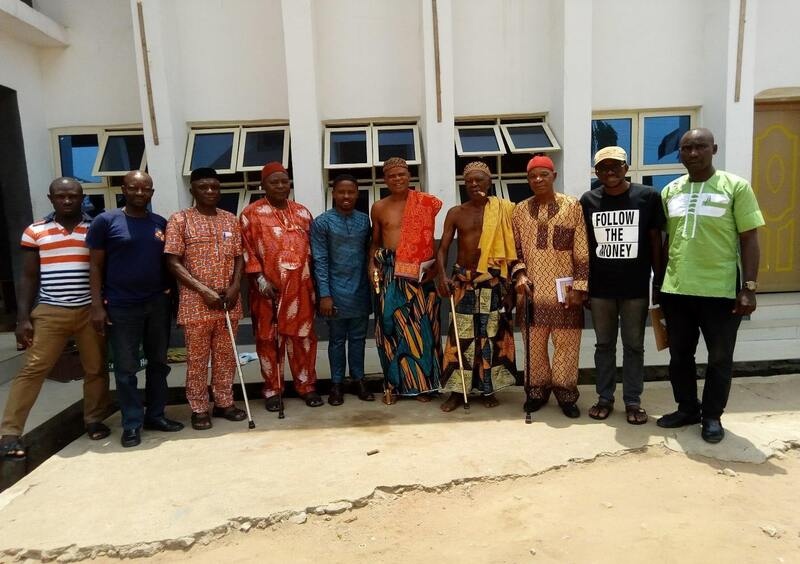 The Clan Head, further expressed joy in the project despite the ignorance of the contractor, hoping for more of such project for the betterment of their community. 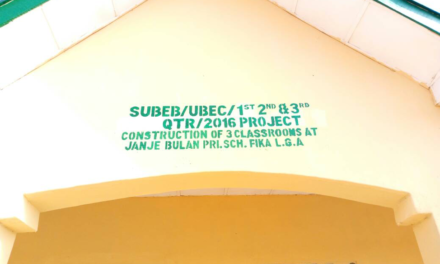 13 March 2018: Speaking at the town hall meeting, the Paramount Ruler expressed so much bitterness for not been carried along in the project implementation by the project contractor, stating that he was not informed of the project from inception to the current stage of the project. 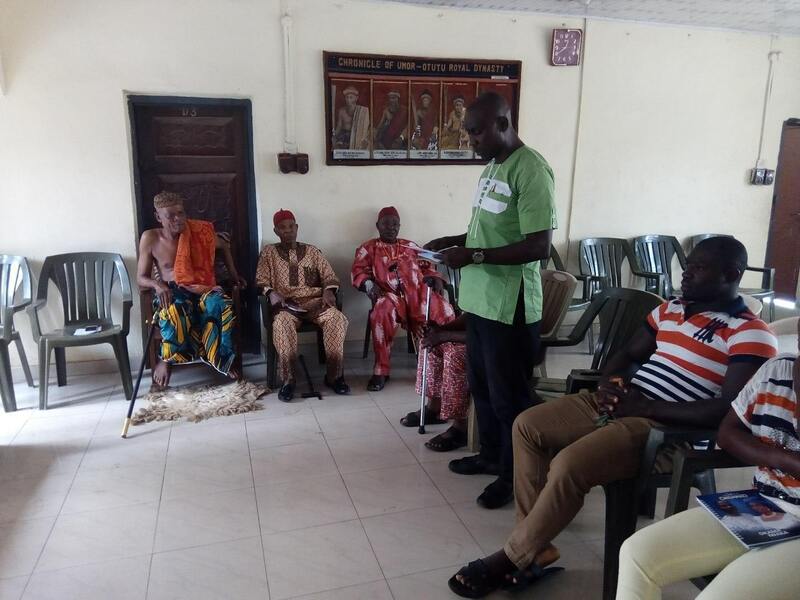 13 March 2018: In partnership with UGEP paramount chief, Follow The Money team put together a town hall to further analyse and provide technical oversight on the on-going projects. 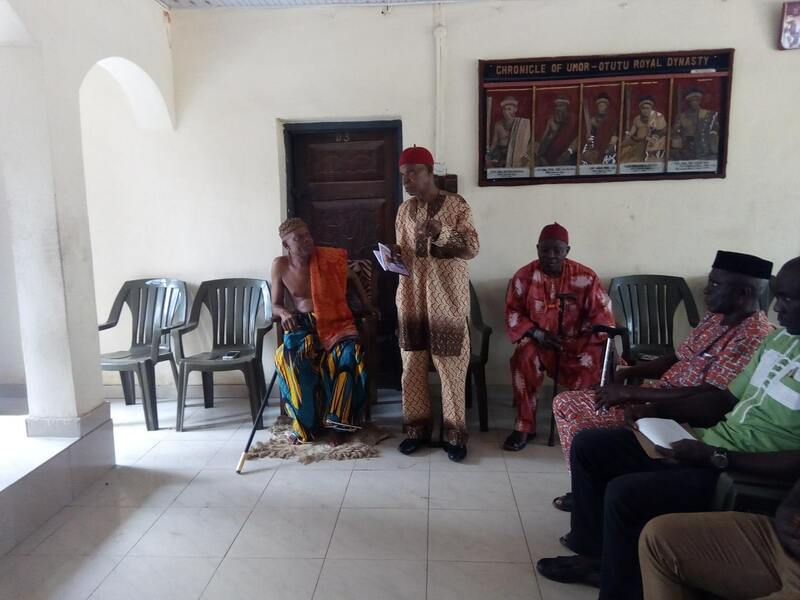 15 Participants including the OBOL LOPON 1 of Ugep, the Past Paramount Ruler of Ugep, the Clan Heads of Ikpakapit Community and Ntamkpo Community – where Holy Cross Primary School is situated, the Village Head, Ikpakapit Community, and Ugep Youth Leader, Treasurer and Secretary Ugep in attendance. 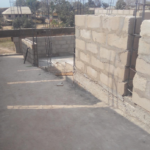 The Contractor, Mr. Inah Nkpono of Inah Nkpono Nig. Ltd, was absent despite extending a prior invitation to him. 7th February 2018: Expressing his joy over the on-going project, Mr. Ewa, Ewa Okoi, Youth Leader of the Community thank the government for such initiative stating that the construction of these new facilities will aid more of their children to attend the school which will help better their future, and that the government should carry out more of such projects in their community and even in other communities in the state. 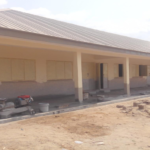 7th February 2018: Mrs Okoi Ideyi Omini, the Deputy Headmistress of the Holy Cross Primary School, Ugep in an interview with the FTM team pointed out that they are fully aware of the project and its appropriation. 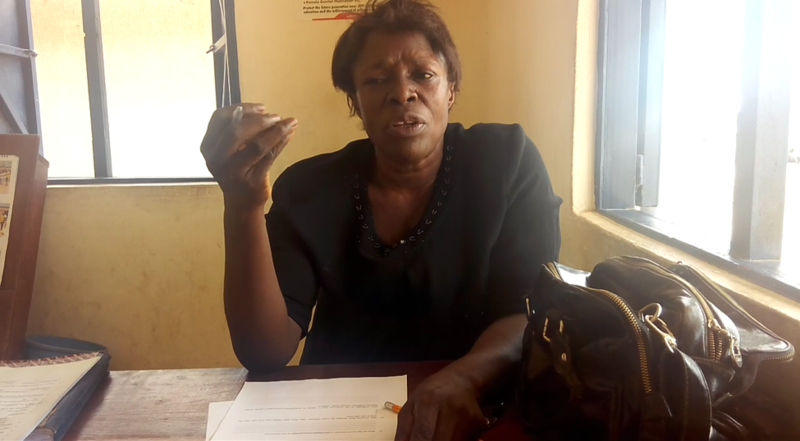 Mrs Omini narrated the challenges faced over the unavailability of the project to include less enrolment/registration of students into the school due to few classrooms, inadequate facility and parents refusals to allow their children to cross the road to school. 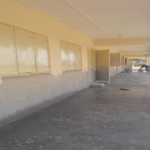 7th February 2018: The construction of the six (6) Classroom is on-going. 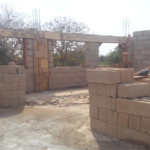 The roofing, flooring, plastering, doors and windows, electrical work are yet to be done, but the carpentering work is currently on-going. 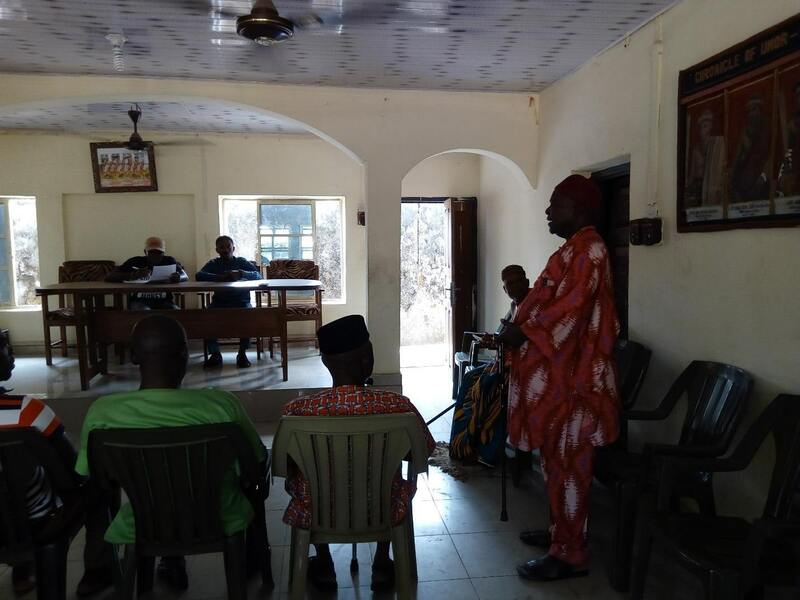 7th February 2018: Follow the Money team embarked on a Community Outreach to Ugep, Yakurr LGA of Cross River State to gather more details on the Construction of 1No. 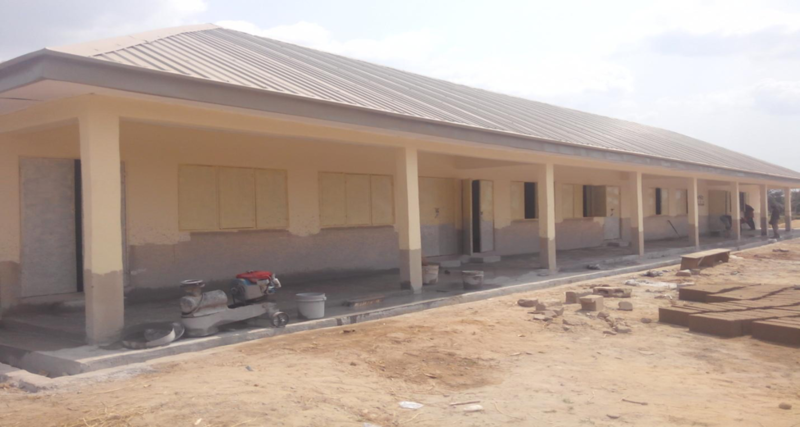 ICT/Sickbay Block, 6 Classroom Storey Block and 6 Compartment Lavatory carried out at Ugep, Yakurr Local Government.